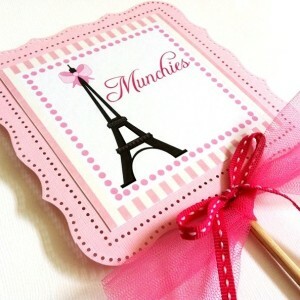 Enter TEXTS to be printed on the product. 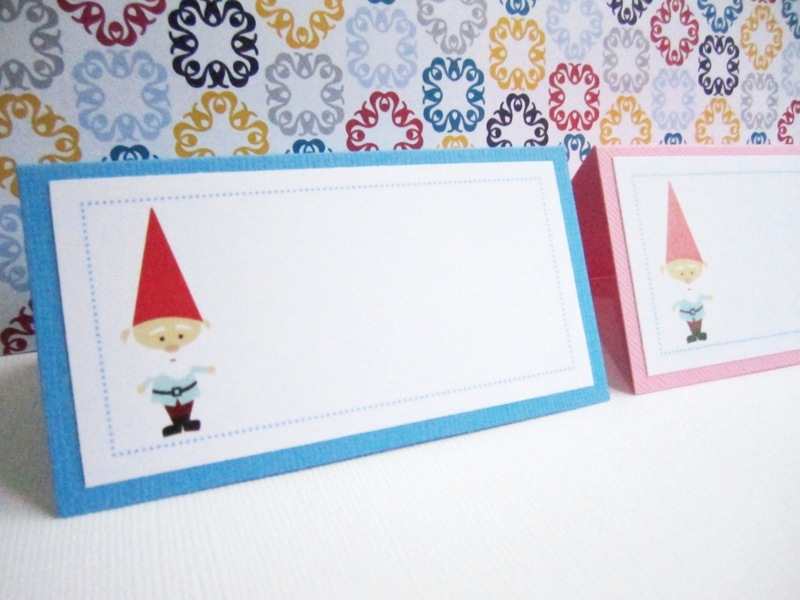 Type: NONE if you want the tent cards blank. 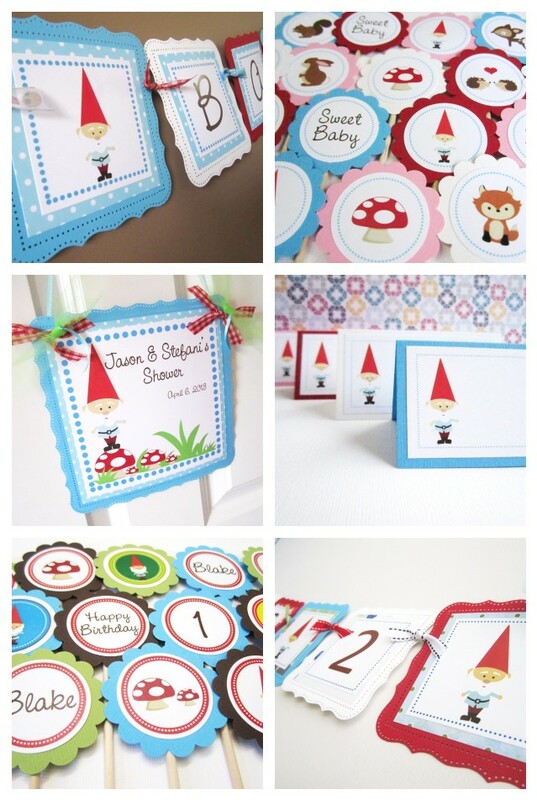 Garden Gnomes are adorable and suitable as a party theme, whether it’s a baby shower or a birthday celebration. 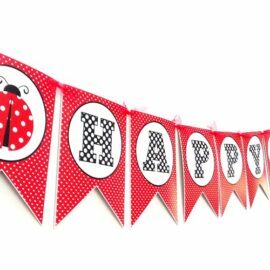 A perfect one to have if you plan a party in a garden, a picnic area, a park, or a conservatory. 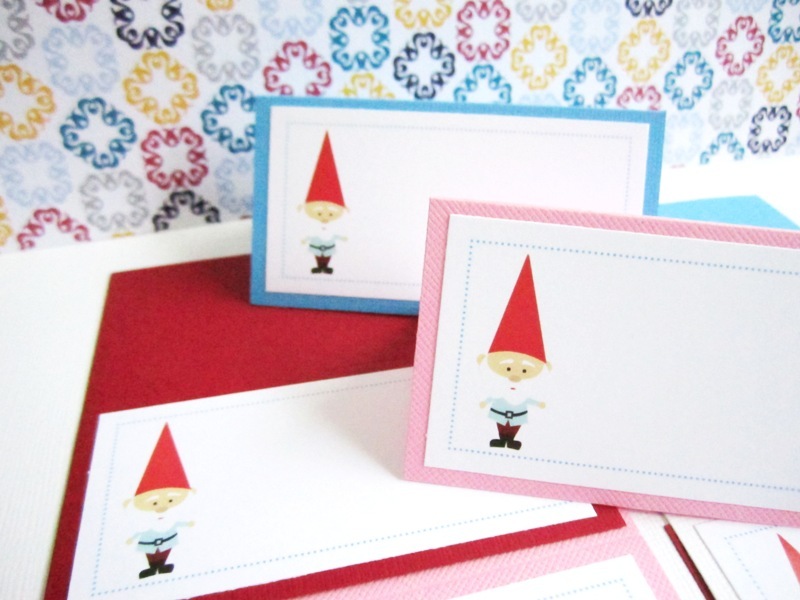 If you do plan a Gnome themed party, don’t forget to pick up these adorable tent cards. 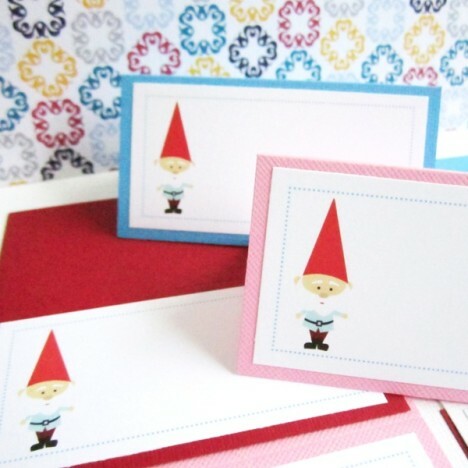 In this listing, you will receive 6 (six) Gnome Party Tent Cards. 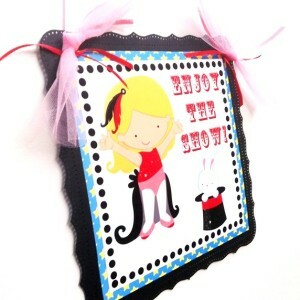 They come as personalized or blank, your choice. 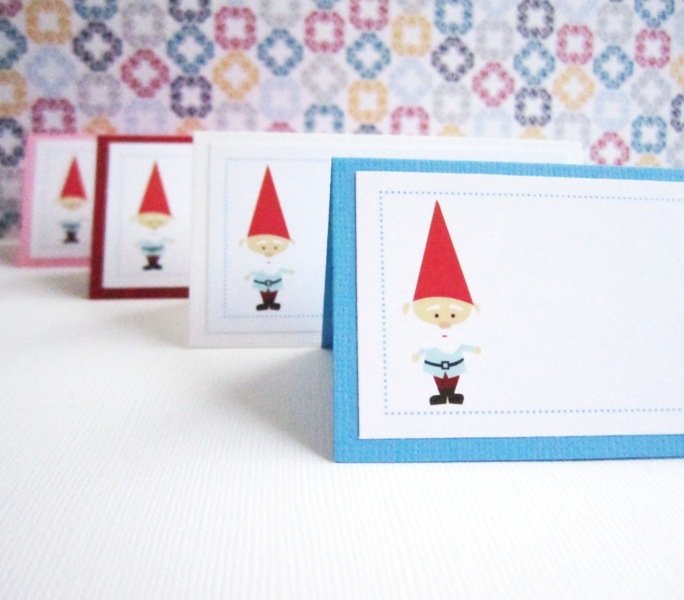 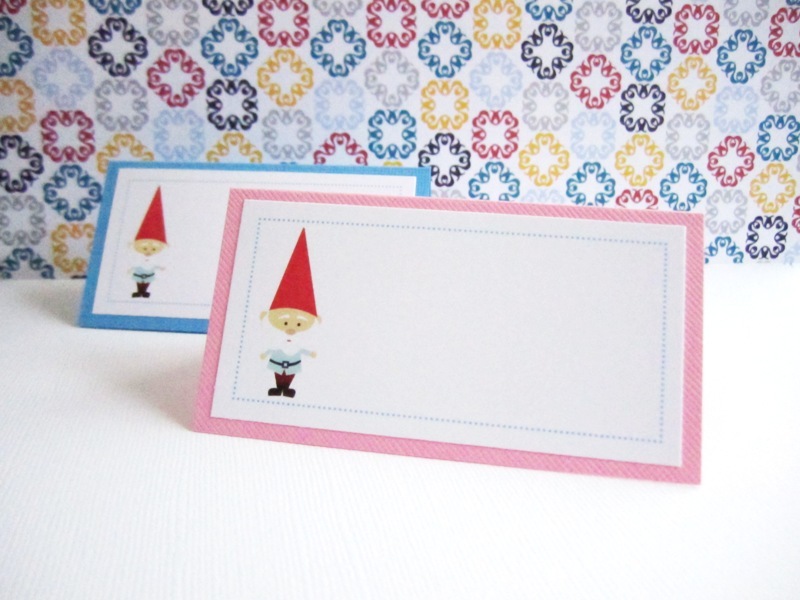 Each of these Gnome Party Tent Cards measures about 3.75 inch wide and 2 inch tall when folded. 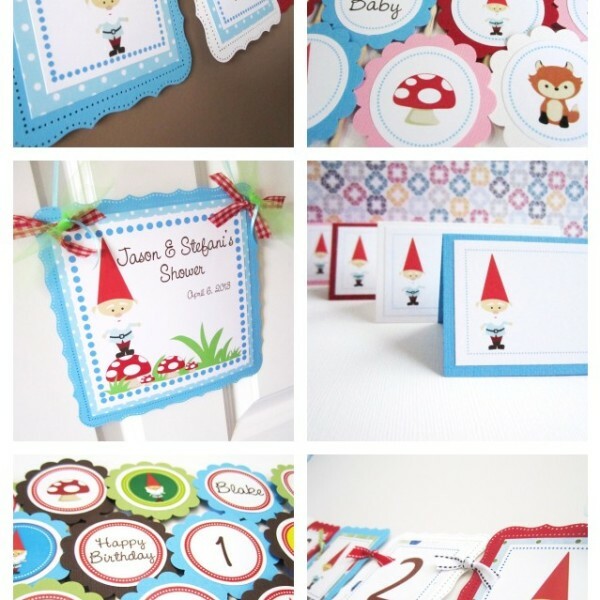 These tent cards come in many different colors such as red, pink, blue and white. 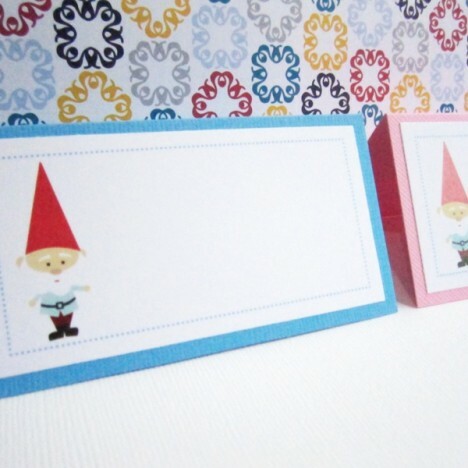 Should you have specific colors in mind, please kindly let us know. 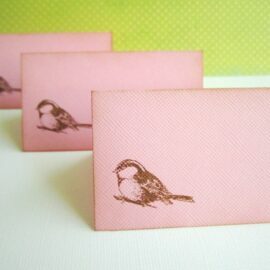 Beautiful textured cardstocks are used for the cards. 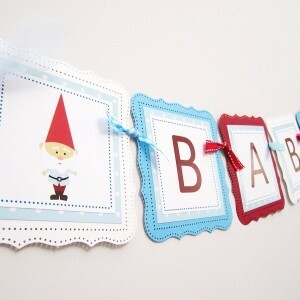 Indicate all the texts printed on the tent cards. 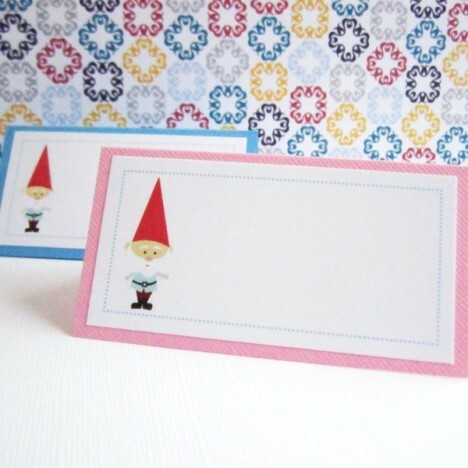 Write None if you want them blank. 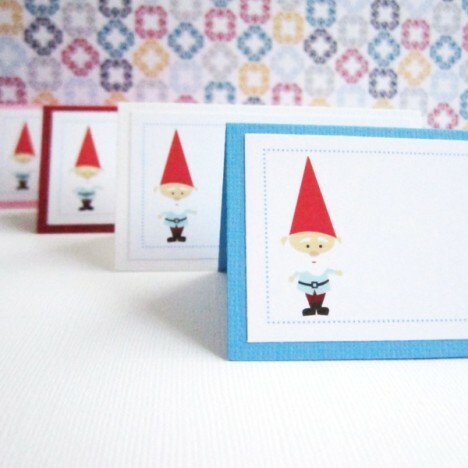 Are you looking for party decorations to compliment this Garden Gnome Party Tent Cards?